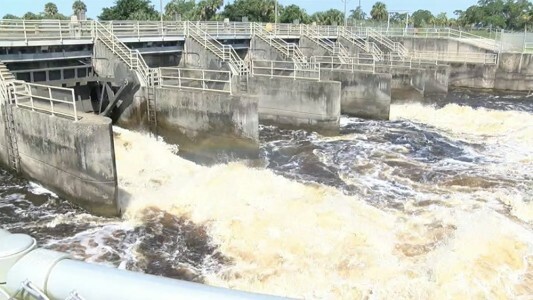 OKEECHOBEE COUNTY, Fla. — The U.S. Army Corps of Engineers plans to revise their management of Lake Okeechobee and develop a new Lake Okeechobee System Operating Manual. That will determine when water managers discharge water to the east and west. The Corps implemented the Lake Okeechobee regulation schedule back in 2008. Hal Chittum, owner of Chittum Skiffs, is now hopeful. "Luckily Governor DeSantis is off to a good start," said Chittum. A Corps spokesperson said development of the new manual is made possible because repairs to the Herbert Hoover Dike will be complete by 2022. That will complement other projects coming to fruition by that time. "We’ll have more flexibility based on new infrastructure being constructed and the public process will inform where we end up," said Tim Gysan, project manager of the manual. The Corps will hold a series of public meetings over the next few weeks to hear concerns from residents. "Make sure we get our voices heard," said Mark Perry with Florida’s Oceanographic Society. "Hopefully people putting the pressure on we can get them to fast track this schedule."